You know how some people love pineapples on their pizza but others can't accept the notion of having cooked fruit on top of cheese and tomato sauce? That's how I feel about nuts on cakes. I can't. I don't ever want to. And you never have to if you make your own lava cakes at Tokeru. Located in SM Megamall, Tokeru lets you pick among five different flavors of lava cake: dark chocolate, green tea, coffee, peanut butter, and red velvet. You get to top it off with ice cream: chocolate, green tea, or vanilla. If you're not feeling that, they also have whipped cream! The third, and tbh, most fun part is adding a lil something special: a crunch, some fruits, or just extra fudge? Personally, I always go for something refreshing like mangoes or strawberries. 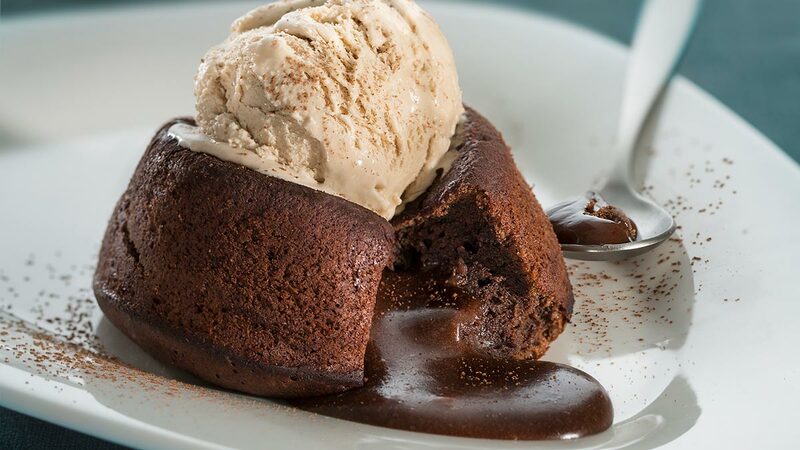 What's *your* perfect lava cake?